November’s MHBS newsletter, “The Twig,” is now available for download right here: NOVEMBER 2011 TWIG. This month’s newsletter includes winter storage tips, a close-up on Literati or Bunjin Style by Pauline Muth, a piece by Dorothy Raymond on Fall/Winter Pine Care Zone 4/5, and lots more! 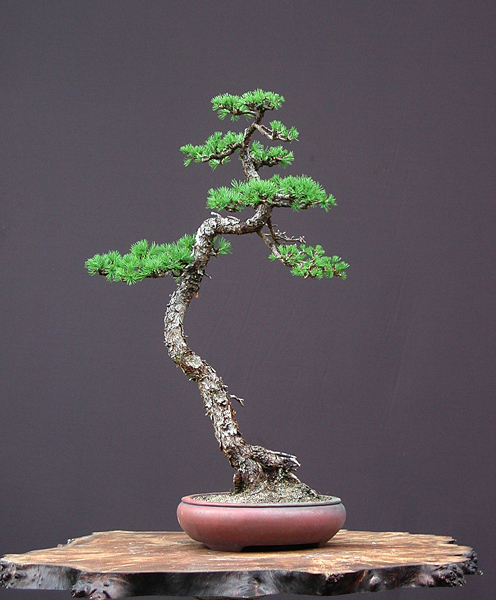 November 20 at PFM Bonsai, Pauline Muth will present The Art of Literati Bonsai. BYO lunch and fellowship at 12:00, meeting and presentation at 1:00pm. Come and learn this form of the art of bonsai. After the presentation and demo you may design a literati for your collection. The only cost is that of a tree. If you wish to be in the workshop, bring tools and wire please. A brief condensation of notes on this style can be found in November’s newsletter. Meetings start at Noon with BYO lunches and socialization. Programs begin at 1 PM unless otherwise noted.